Feature In part one, the main focus was on MIDI’s myriad data forms and how it began chattering to synths and drum machines, but it was the sequencer that really demonstrated MIDI’s brilliance. In fact, so brilliant it was, that musicians even began to think they were brilliant too by association. Brilliant! It’s early 1988 and it’s time for another Atari lesson. I’m in London at a private college learning all about sound engineering and music production, a bit of a rare subject then, which is why I’m having to pay for it. Rarer still for the times, were the lectures we’d get on digital recording systems. One of the tutors is touting his new book on the subject, it’s called The Art of Digital Audio. It’s still in print today and the author, John Watkinson, writes for me now occasionally, strangely enough. Today we’re in the programming suite and the lesson promises to take us beyond the fun-packed thrills of C-Lab’s Creator, as we’re old hands at that now. Instead, we’re looking at a companion product, the X-Alyzer. Besides being an editor/librarian that can store, sort and customise your synth sounds, it has a rather cool trick up its sleeve that takes advantage of SDS, a recent addition to the MIDI standard. SDS? Wasn’t that a brain for Simmons electronic drum kit? Not on this occasion, as we’re talking about the Sample Dump Standard. Eseentially, it is sending audio-over-MIDI and just how cool that is... we shall see. At 31.25kbd, maybe it’s not such a good idea after all. More on this later. 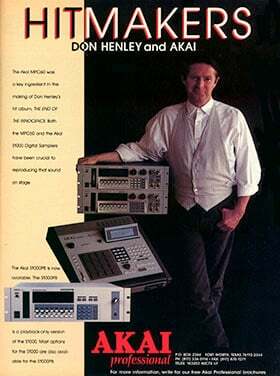 MIDI sequencers were available as dedicated hardware or as software packages. The sequencer behaved like a musical word processor: it would record what you played, when you played it and also, more interestingly and expressively, how hard you played it. 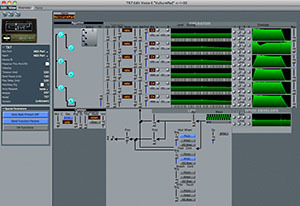 Where the sequencer triumphed over simply playing parts in real-time was not just its ability to capture performances. You could do that easily enough by pressing record on a tape machine. The sequencer’s strength was in composition. You might start off recording a sequence with a piano sound and then on playback try it out with a string sound. The MIDI recording was completely impartial, just like changing the font on a text document, you could use the note data anyway you liked. And if you couldn’t decide between piano or strings, then why not both together? With MIDI sequencing you could either duplicate the track and send it out to different devices or, in less sophisticated set-ups, you could have just one track and use two synths responding to the same MIDI channel. So what’s the programming suite idea all about then? Not a multitrack tape deck in sight and there’s no desktop digital audio recording here for sure. It’s all about sequencing on the Atari with a bunch of synths and a beatbox. While the gear might change, the idea is essentially the same in studios of the time. Do all your MIDI sequencing in a cosy little room somewhere and then take the fruits of your labours to the main recording studio where these sequenced tracks can be recorded on tape to be adorned with vocals and non-MIDI instruments, guitars (remember them?) and other noisy stuff. There are other ways around this too. In more sophisticated scenarios, the MIDI gear would play "live" into the mixer. It would be sync’d using a timecode track previously striped (recorded) on tape and this would free up the rest of the tape tracks for real instruments and vocals. It all worked fine, but as you were sync’ing to a tape, it meant you would have to rewind it at some point – pretty much constantly when parts were being overdubbed. And those MIDI instruments would need to kick in at the right time too if they were being sync’d, so you’d need to wind back a bit further to be sure the sync box had a good enough run at things to read the timecode and get the sequencer rolling. One way around it was to have a rough mix of the MIDI stuff and record it on tape – maybe just a stereo pair. But as you can see, when it comes to composition, you really don’t want to be tied to a tape machine, as it kills all the advantages of MIDI sequencing. After all, MIDI sequencing delivered instant playback from any point in the composition and cycled (looped) playback and recording options too. Who wants to wait for a tape to rewind? How MIDI achieved these feats goes beyond the joining of instruments discussed in part one. MIDI Clock was the answer in those early days and MIDI Timecode would follow, which was a vast improvement and a very different beast altogether. MIDI Clock could be applied in a variety of ways. In a basic setup it would be a master and slave relationship. 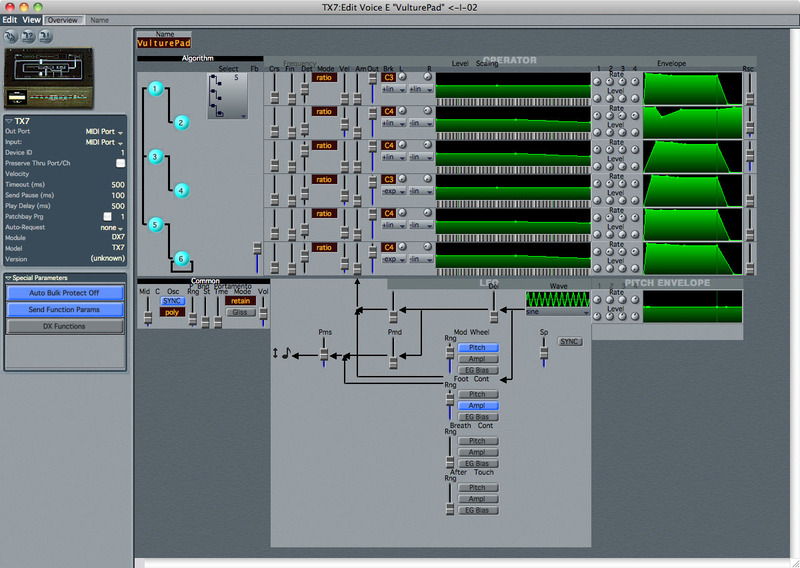 For instance, linking a hardware sequencer up with some drum patterns you’ve programmed on a drum machine. Both devices have their own internal MIDI Clock which is used as a reference for the recorded events. To work both together and say, play some bass lines on an Ensoniq ESQ-1 sequencing keyboard accompanied by a Yamaha RX11 drum machine, you’d typically switch the RX11 from Internal Clock to MIDI Clock mode. All you’d need to do with ESQ-1 is to plug in a MIDI cable from its MIDI out and plumb it into the RX11 MIDI in. Press play on the ESQ-1 sequencer and the slaved drum machine joins the party on cue and at whatever tempo the master sequencer is running at. This scenario can work in the other direction too: with drum machine master, sequencer slave – as long as the slave is set to MIDI Clock and the master device is on Internal Clock. Oh, and on some devices you’d need to be sure the master device was set to transmit MIDI Clock. The technical aspects of MIDI clock had some similarities to DIN Sync used on earlier gear, the idea being to follow what was effectively a high-speed metronome clicking away at 24 pulses per quarter note (PPQN). Record this DIN Sync track to tape and the slaved gear would follow this timing clock, which would run at different rates depending on the original tempo. And talking of tempo, once the DIN Sync track was recorded, this was effectively set in stone. One other aspect of this early sync’ing was that you always had to play the tape from the beginning each time. 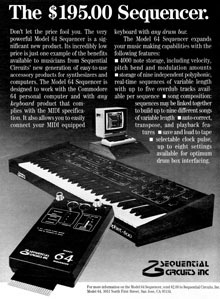 While MIDI used 24PPQN for its timing, the way it triumphed over DIN Sync and could play from anywhere was all due to the use of Song Position Pointers (SPP). In short, the intervals were calculated. So in a song with a 4/4 time signature*, from its beginning to the start of bar 5, would be 16 beats (4 bars x 4 quarter notes per bar) x 24PPQN = 384 pulses. If you wanted to play from the beginning of bar nine, the sequencer would know it should play from 768 pulses into the sequence and transmit that information to any slaved devices too. The frequency of those pulses would, of course, depend on tempo, but it was the use of the number of pulses that were making the big difference here. These pulses were no longer simply teeth in a cog; they all served as a unique point of reference. Now this was all happening within MIDI sequencers and drum machines. The MIDI Clock timing information wasn’t a code you could simply plug into a tape recorder and stripe a track with, you’d need a synchroniser for that. How these devices worked their magic is explained later in the box section on page 5: The missing sync. * Four one-quarter notes per bar. In a time signature, the second number tells you what type of note (ie: the length of time it takes to play it) gets one beat. The first number tells you how many of these beats there should be in a bar (segment of time in musical notation). 6/8, for example, means that you should play six one-eighth note beats in every bar. In the simple sequencer-with-drum machine scenario, as the work on the various sequences and drum patterns took shape, you’d want to chain these different parts together by using the Song modes on each device. It’s effectively a playlist of the patterns that amounts to an arrangement. Here, the Song Position Pointers come in very handy, so that when you jump to bar 33 to work on the chorus on the sequencer, the drum machine follows suit and plays the appropriate rhythm pattern. It’s all clever stuff and working this way enabled musicians to refine their compositions either on home set-ups or in programming suites that were going to be cheaper than clocking up studio time in a full-blown professional recording facility. You’d save that indulgence for when you were ready to commit to tape along with vocals and suchlike, only to find the studio had some new MIDI gear in it – a sampler perhaps – that you’d be smitten with and later wonder later where all the time went. Still, thanks to Song Position Pointers and a decent synchroniser, you’d not have to wind the tape back to the very beginning to make changes when slaving a sequencer to tape. Another useful aspect of sync’ing to tape was that if you didn’t have a great deal of MIDI gear or were dedicated to a particular synth, you could record a sequence to tape that featured a particular sound, then change the synth sound and record a different sequence part on a separate track. While using Program Changes on the synth would be an option, for some arrangements this wouldn’t be sufficient. Also, using separate tape tracks would enable different EQ and effects to be applied more easily. For instance, from the same synth, you might want a bright horn section swimming in reverb, but a completely dry sound with a bolstered bottom end for bass. Multitimbral instruments did sort this problem out to some extent, but not all would feature multiple outputs or built-in effects. Using sync to offload different parts of the composition to tape to build up layers from a limited or preferred selection of MIDI gear, proved a very useful and practical application. Indeed, the samplers of the time had limited memory and this was an easy way to get the best out of them: recording multiple tracks with different sounds. Hardware sequencers would come and go in various guises from dedicated keyboard such as the popular Korg M1 with its 8-track recording to Akai’s MPC60 – a drum machine inspired system with design input from Roger Linn. 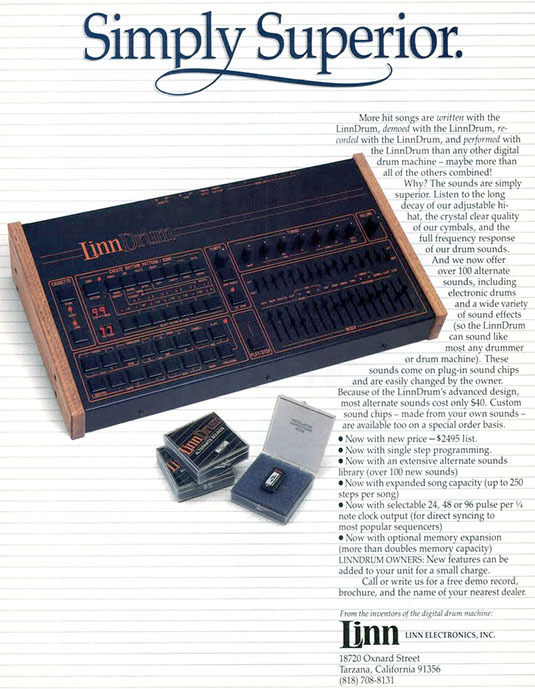 His revolutionary LM-1 Drum Computer pre-dates MIDI but was the first beatbox to use sampled sounds. A few years on and the buggy reputation of the Linn9000 led to the company’s demise. It had sampling, MIDI, a 32-track sequencer and the eye-watering price of $5000. The Akai MPC60 was its reincarnation. Its Swing function delivered a distinctive groove to sequences that contributed to its huge success. Indeed, even though such features could be replicated in software sequencers as groove templates, there were no shortage of die-hard hardware fans who just didn’t want the fuss of a QWERTY keyboard, mouse and monitor, let alone the bother of floppy disks and an actual computer to maintain. 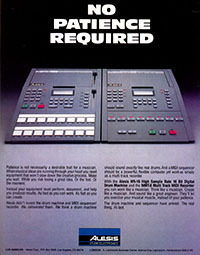 The all-in-one box appeal continues to this day, but for those keen to explore MIDI’s capabilities beyond note-taking, the computer sequencer was where it was at. MIDI on computers happened very early on in its development, with Yamaha adapting the MSX for music. The YIS-503 and the CX5M version (includes SFG-01 synth module) when hooked up to various accessories, provided synthesis and composition tools along with 4-track MIDI sequencer, available on different cartridges. What made both scenarios a truly creative experience was that MIDI performances could be edited. Made a mistake? There’s no need to rewind the tape and record it all over again. MIDI recordings could be fixed, a note at a time, if necessary, which frequently it was. Drum machines too, had the facility to knock out duff notes, so duff playing – be it a brass line or a drum fill – could end up note-perfect. Yet to paraphrase Eric Morecambe, you could be playing the right notes but not necessarily at the right time. When you’re cycling (looping) around a sequence or building up a drum part, out-of-time playing is so obvious that just about anyone can spot it. It’s irksome. As any sequencer works to a particular resolution and timebase, the notes played into it can be altered in time too, just like correcting the pitch of a note. To take away the guesswork regarding how many "ticks" a note (or drum sound) needs to be shifted to be in time, a function called Quantize was implemented on all good sequencing gear, including drum machines. In simple terms Quantize performed timing corrections, making everything snap into place and, regardless of musical prowess, it was a godsend. This quick-and-dirty fix had a few issues with it though. First of all, it could make performances sound robotic, which could be ideal for some genres, but it didn’t suit everyone. Also, Quantize at too low a resolution (say 8th notes) could end up "fixing" valid 16th notes. Sure, the bass drum and snare sound in sync, but the busy hi-hat pattern timing has suddenly halved. To get the performance you wanted, Quantize needed to be applied with the appropriate note timing values and with an eye on the time signature. For instance, triplet values would need to be used for 3/4, 6/8 time and similar and the odd fancy drum fill could suffer here too. Sequencer developers would spend a fair few years designing different Quantize algorithms and Groove templates that knock the timing out slightly from the strict positioning to more musical and relaxed values. Another early platform to gain popularity was the Commodore 64 which MIDI co-founder Dave Smith’s company Sequential Circuits produced the Model 64 sequencer for, plus interfacing hardware. A version from 1984 was on show at NAMM this year communicating with an AniMoog app on an iPad that used an IK Multimedia iRig MIDI interface. No matter how old it is, MIDI just keeps on talking. Roland’s CMU-800: Compu Music appeared in 1983, but it wasn’t MIDI. This software and hardware combo was designed to work on the C64 or Apple II. 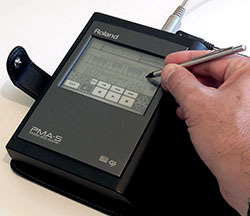 A year later though and Roland would began addressing the needs of computer users in with its MPU-401 (MIDI Processing Unit) interface hardware. Originally a breakout box, it became the standard MIDI interface card for PCs, shrinking to need just breakout cables for MIDI In/Out from the card – functions that would later be integrated into PC soundcards. The attraction of computer music had software bundles cropping up everywhere, even Sinclair had a bash at it too, providing MIDI compatibility in the ZX 128 but on RS-232. You’d need to be a dab hand with a soldering iron to get this up and running – details on this hobbyist site here or go straight to the PDF here. With a few notable exceptions, just about all of the mainstream hardware platforms required separate MIDI interface hardware. 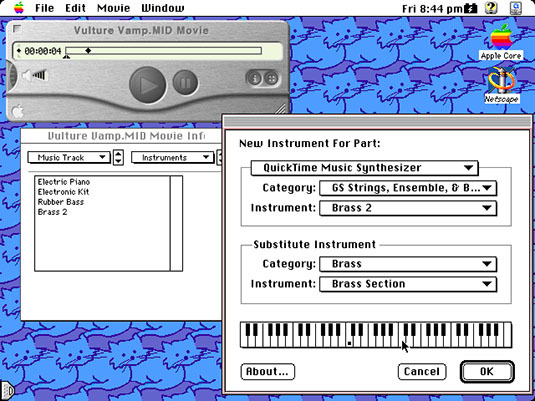 With the Apple Macintosh appearing not long after MIDI’s introduction, the platform was attractive to developers but you wouldn’t be finding a built-in MIDI interface on the Mac. Apple Computer’s legal tussle with Apple Corps – the record label owned by The Beatles – prevented the Mac maker from producing any music equipment. In due course, peripheral MIDI interfaces aplenty appeared, and in the US, things really took off for music and the Mac. It was a different story in Europe. The high price of the Mac was the first hurdle. It was always expensive and Apple’s exchange-rate calculations have never been over-generous for its customers across the pond. On top of that there was the added cost of a MIDI interface and music software too. Needless to say, musicians over here were keen to consider alternatives and the computer that, hands down, stole the show, was the Atari ST. Sure it was cheaper, but it used the same Motorola 68K chip found on the Mac and had its own user-friendly Mac-clone GUI called GEM. 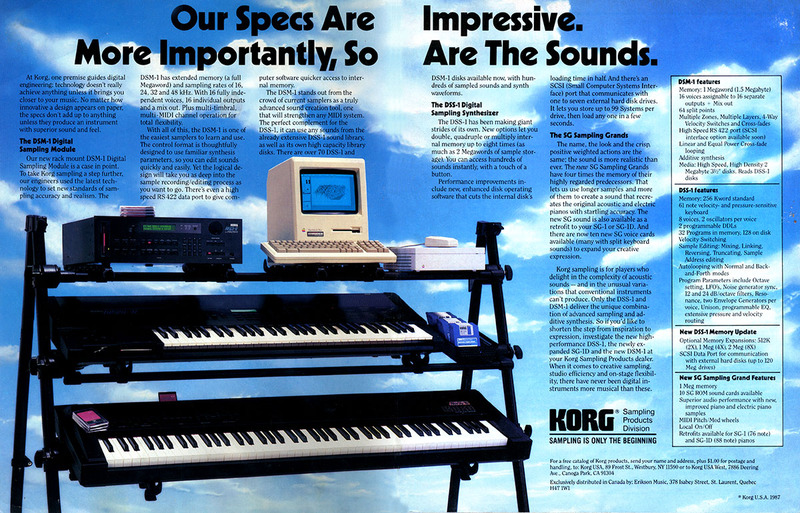 There was also one other very good reason why it sold to musicians: it had built-in MIDI ports. 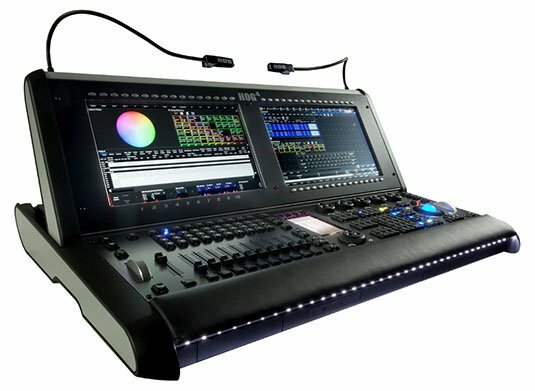 In the US, Mark of the Unicorn’s Performer was making an impression and the company also made Mac MIDI interfacing. This Mac hardware and software combination would heat up competition as functionality became better integrated. Two features, in particular, would expand MIDI’s potential for professionals. The most obvious improvement was to increase the number of MIDI ports available. This would allow instruments to be connected on dedicated ports and removed the need for daisychaining with MIDI cables. MOTU’s MIDI Timepiece had 8 ports, enabling the Mac to address 128 MIDI channels (16 channels x 8 ports). Opcode’s Studio 4 did likewise and what both units could do was support daisychaining to another unit using the Mac’s serial interface cabling. As the Mac had both modem and printer serial ports, four 8-port interfaces could be linked up delivering 32 separate MIDI In and MIDI out ports for 512 MIDI channels in both directions. And if that wasn’t enough for you, the big daddy of them all was Opcode’s Studio 5. A 2u rack beast with 15 MIDI ports – 240 MIDI channels in one box. Opcode claimed you could link six of these together for 90 MIDI ports, 1440 MIDI channels. But what seems like excess was actually very practical. Studios would accrue MIDI rack gear, as a selling point – offering a range of synthesis, old and new – and having access to multiple devices without having to grub around the back to plumb it in was a welcome advance. The predominance of the MIDI keyboard rather than other controllers is due in no small part to how easily it translates musical performances into MIDI data. The notes are already preassigned and the keys are simply on/off switches. MIDI drum pads and kits are another easy fit for similar reasons and there’s no major pitch concerns there, you just choose what will be played by assigning sounds to notes triggered by pads. By contrast, the MIDI guitar presented an entirely different challenge. With no preassigned notes, the MIDI guitar pickup has to determine the pitch of the string being plucked as it translates this event into Note On data. Roland’s GR-707 guitar was among the first to feature a MIDI out in its GR-700 footpedal brain section. The company has since developed a successful range of guitar "modelling" synthesisers and pickups. I remember being awestruck by the futuristically designed SynthAxe in magazines, but its price was ultimately its downfall. Former employee, Alec Stansfield's site shows you what you’re missing. He's got one for sale too. 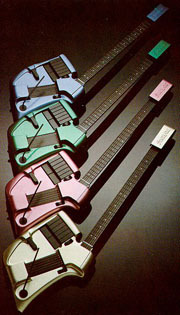 Yamaha had an early stab at the MIDI guitar too, with the G10. It’s novel shape wasn’t great for sit down strumming but the weirdest part was the strings. They were all the same gauge and tension – a design necessity, as an ultrasonic pickup for each string was used to sense where you were on the fretboard. Despite being very capable, this combination of quirks wasn’t well received. Where Yamaha did succeed was with wind controllers. 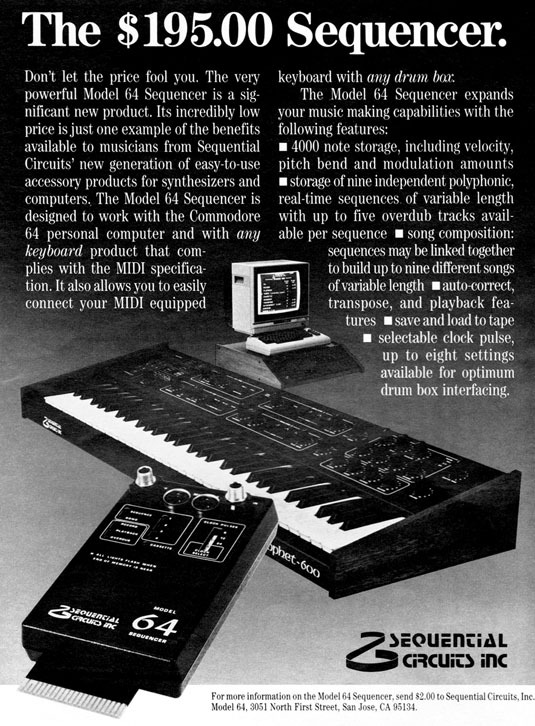 The WX7 was usually sold with a TX81Z FM synth module and had a professional action and a reed bender control. I recall these things would spew controller data as soon as you picked them up, which along with MIDI guitars, has always been a problem with more interactive controllers. The MMA showcases of a unique variety of MIDI controllers available here. The WX5 is the only wind controller Yamaha produces but it isn’t widely available. It was initially teamed up with the VL1m or VL70m acoustic modelling synths. Other makes include the Akai EWI series, which currently includes a USB model. Casio’s DH-100/200 ‘zanzithophones’ were MIDI but not exactly professional. Windsynth.net provides a wealth of information on wind controllers past and present. The iPad Touchscreen is proving to be one area where alternative controller experimentation is rife. This isn’t just for musical instruments but for MIDI mixing tasks too. It’s also turning out to be a product that showcases the capabilities of the Open Sound Controller (OSC), a communications protocol that can work independently of MIDI over networks of MIDI or translate its own messages including specific gestures to translate to MIDI messages. Hexler's TouchOSC is a good example and can load different gear templates – I've been using it with MOTU's Audio Express and it works like a charm. Another aspect was having both MIDI In and Out plugged in on synthesisers enabled System Exclusive data to be sent and received to store patches or edit sounds. Lest we forget, multiple in ports would allow alternative controllers to be plugged in easily and recorded simultaneously. For instance, MIDI guitar and MIDI sax playing together. Oh and don’t forget using these ports for SDS, the sample dump standard. Shall we talk about that now? Nah, it’ll keep. 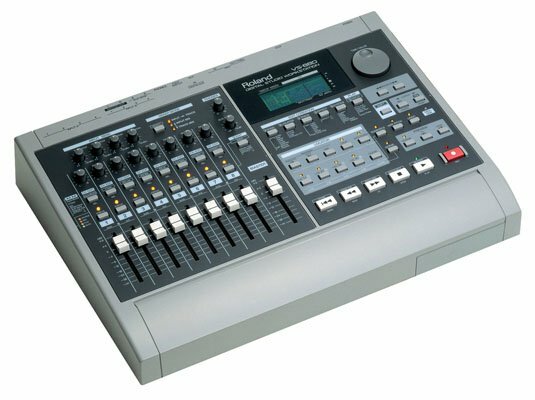 The other function these professional interfaces offered was an integrated timecode reader/generator to synchronise MIDI sequencing software to tape or video. 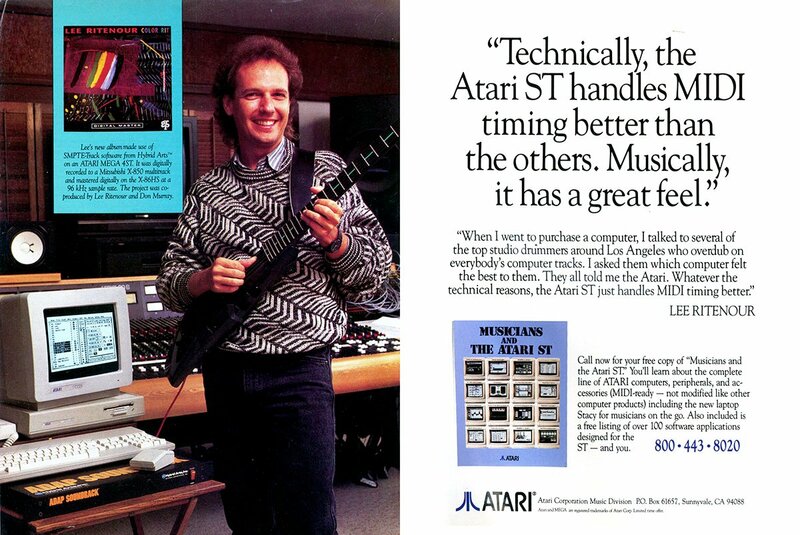 Atari users would gain similar functionality, but somewhat scaled down, just a few extra ports and synchroniser features with C-Lab’s Unitor and Steinberg’s MIDEX+ being popular for users of Creator/Notator and Cubase, respectively. 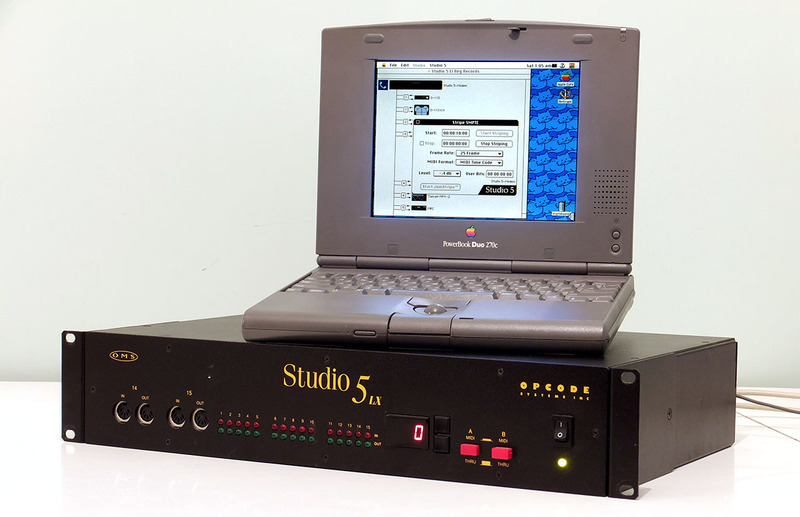 In the USA, the likes of Passport Design Master Tracks Pro, Opcode Vision, MOTU Performer and Twelve Tone Systems Cakewalk were making big impressions on Mac and PC users. 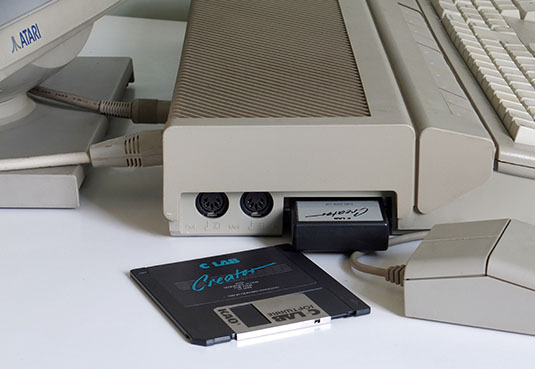 Meanwhile, in Europe, excellent software for the Atari was being developed in Germany by Gerhard Lengeling (C-Lab Creator and Notator) and Karl Steinberg (Pro 24, Cubase). Inevitably, the cost of rival Mac and PC systems fell, and the Atari’s star began to fade. Especially, as systems enabling MIDI and hard disk audio recording to run in tandem were now vying for position. 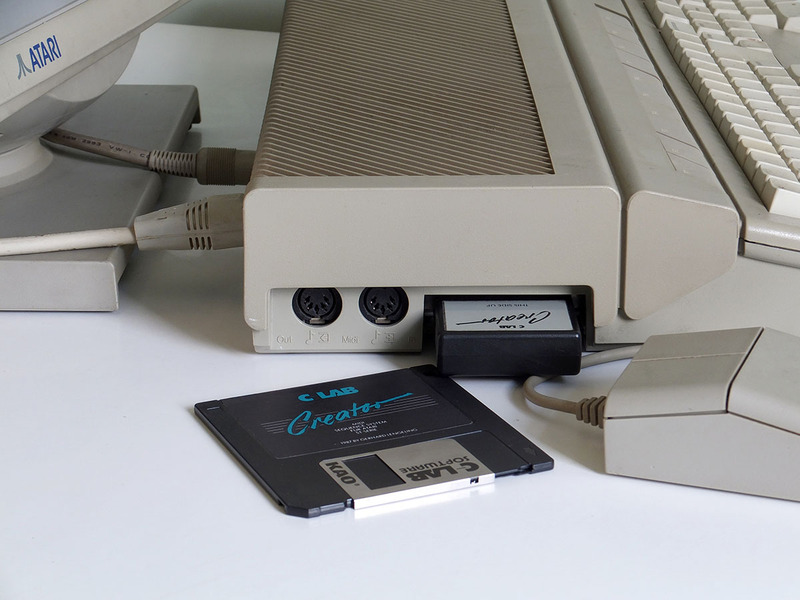 The Atari Falcon could perform this feat and C-Lab even bought the rights to the design to keep it going for a while longer. Still, the Atari legacy continues in one way or another. Certainly, its MIDI timing has a reputation for being rock solid and many still use it to this day for this reason. I couldn’t bear to part with mine either even though, thanks to legacy song support and MIDI Files, my Atari Creator and Cubase sequences have migrated to the Mac. Likewise, the software from C-Lab and Steinberg found its way to Mac and PC platforms. That said, it was a bunch of programmers who left C-Lab to form Emagic that were the driving force to deliver Notator Logic for Mac and Windows users. Logic, as it later became was bought by Apple in 2002 and the Windows version killed off in the process, along with the peripheral hardware offerings. Rebranded Logic Pro, Apple has made a point of aggressively pricing this Mac-only product to lure musos to the platform. The latest version, Logic Pro X, was released last month as an app download for £140. When Logic Pro 7 was introduced in September 2004, Apple was asking £699 for it, the going rate for professional audio-MIDI composition software, pricing levels which rivals still endeavour to sustain to this day. Over the years, Steinberg has changed hands too. It was owned by Pinnacle for a couple of years before being acquired by Yamaha in January 2005. Cubase continues, with more features than ever, now at version 7. Yet even from their early days, what both these German developers brought to sequencing, was a different approach to the task than the US developers were offering. While there were plenty of similarities in many areas, it was the clarity in presentation of various edit and arrange windows, the easy on-screen manipulation of data and the simplified execution of repetitive tasks, that really stood out. The Yanks weren’t short on ideas, but edit windows could be fiddly and the frequent mouse-clicking – often required for basic tasks like transport functions – seemed like an obsession. 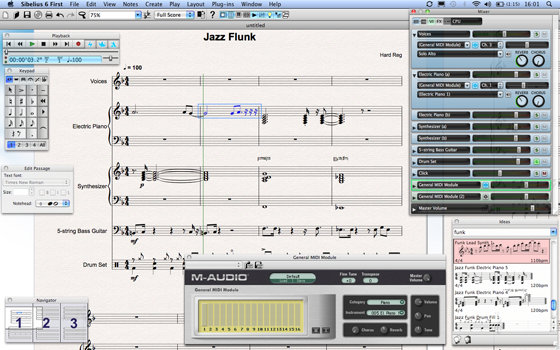 Besides synth patch archiving, Editor/Librarian software could be used to organise instrument types. Using a librarian I’d often compile a mixed bag of sounds that I’d sling over to my Yamaha TX7 to get some ideas flowing, while at other times I’d just fill it up with basses or piano sounds because I knew this sound module had a particular character (FM synthesis) that would be ideal for this task. For the most part I used the wonderfully reliable BeamTeam editor on the Atari before switching platforms. Opcode’s Galaxy Plus was a favourite on the Mac and Emagic’s SoundDiver looked promising for Mac and PC. However, when Apple bought the company, SoundDiver lingered in beta for OS X for yonks before disappearing from the FTP site. If you can find it anywhere on-line, I can confirm that the 3.1 beta 2 does work if you have a SoundDiver XSKey authorised Logic 7 dongle and Mac OS X 10.6 or earlier. MOTU’s Unisyn is still on sale, but it hasn’t been updated in nearly a decade. Opcode was sold to Gibson in 1998 and was never heard of again, although Opcode lead programmer Doug Wyatt went on to join the Apple team developing the new Audio and MIDI services for Mac OS X. The best of breed applications could also display the patch names – instead of just program change numbers – in the host software, which was a real help when dealing with an extensive palette of customised sounds. Another great thing about editor/librarian packages is that while they might not use the same file formats, if you fill up a synth with sounds from one librarian, you can then reel it into another from the sound module by using the MIDI hardware as a go-between. That’s how my TX7 sounds live on using SoundDiver, revived from their Atari days 25 years earlier. A non-commercial alternative to synth editing was to teach your software SysEx messages. Steinberg’s Cubase had a crack at this with its Mixermaps environment. By simply altering one of those buried parameters from the MIDI hardware whilst the Cubase Learn feature is enabled, virtual buttons, knobs and sliders could be assigned SysEx functions. You’ll find most sequencers have something like this tucked away somewhere these days. Today, it’s curious that this learning process of teaching the computer software hardware synth parameters has now completely reversed. The rise of desktop music production now sees hardware synths emulated in software. For the most part, their controls remain as MIDI functions and so now we have hardware controllers for software synths with real knobs learning these virtual parameters. At least it keeps the MIDI hardware manufacturers of old in business, as you’ll find the likes of Akai, Alesis, Korg and Novation, to name a few, producing this kit. Another edit window of great importance to many musicians was Score edit which provided the means to edit notes on staves** and even prepare the result for printing. 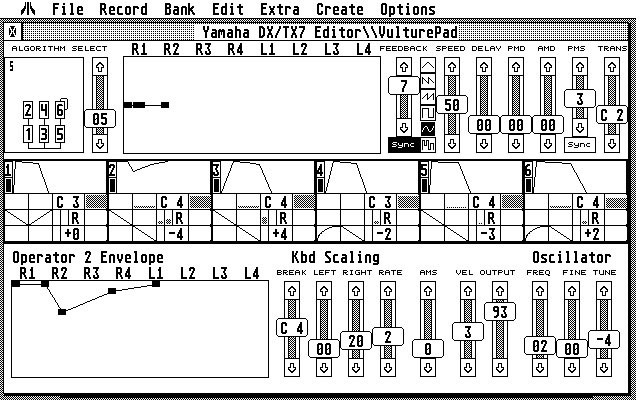 Not every sequencer featured this, but Notator/Notator Logic was among the best in class in the late 1980s. 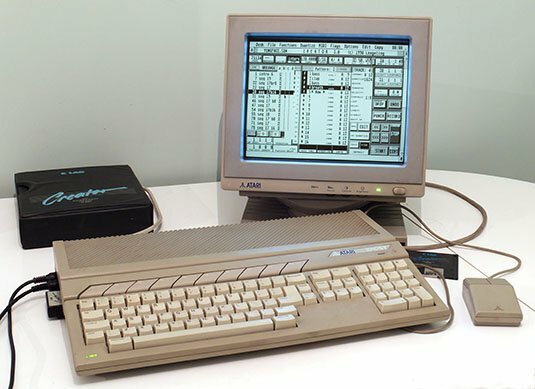 Come the 1990s and, in the UK, Sibelius for the RISC-based Acorn Archimedes was favoured by professional score writers, as it was famed for its editing speed – with changes on lengthy scores performed in the blink of an eye. Sibelius remains popular in academia. It is now owned by Avid and is available on Mac and PC. To detail every aspect of on-screen MIDI editing would take a feature in itself, but typically you’d have Piano Roll (sometimes called matrix edit), List (events lined up in time with a parameter columns), Drum (a grid style akin popular drum machine layouts), Step (a non-realtime alternative allowing specific note entry) and Score (notation view). While these different ways of accessing MIDI data, be it note or controller, would allow corrections and additions, the other issue was how to string all these parts together. In most software sequencers, this is an Arrange window which will show recorded parts as blocks of varying sizes on a timeline, that could be copied, repeated, transposed, split up or deleted. You’d typically double-click on one of these blocks to edit the MIDI notes within. The original C-Lab Creator did things differently, by joining together sequences like a playlist. The playlist approach still exists in various forms to offer an alternative way of linking arrangements together. 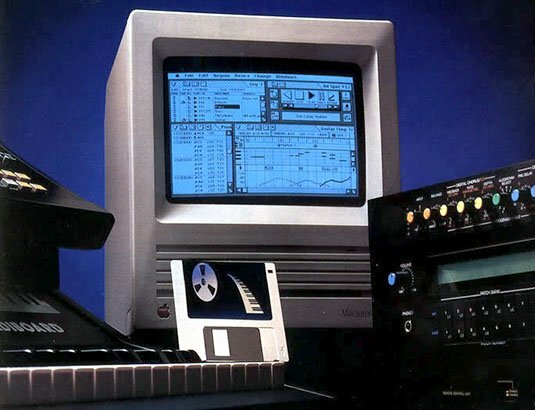 Luckily, the arrival of Notator Logic did support the Creator files of old and for those switching platforms or just wanting to share their compositions, the arrival of Standard MIDI Files in July 1991 was the answer. 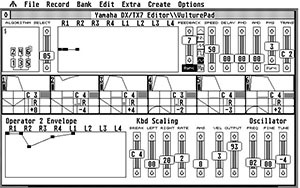 By using Program Changes conforming to the General MIDI Standard that appeared a few months later, users could create the musical equivalent of an PDF file – something that would open on just about any platform and call up the right instruments at the chosen tempo so that playback would be close to the original. Editing would also be possible just as on any other MIDI recording. Beyond musicians, the use of MIDI files has been popularised by gaming, on phone ringtones and of course, karaoke. The MIDI file spec has a few variations which are explained in more depth here. With MIDI instrument emulations now a given in music composition software, virtual knobs and sliders can alter even the most obscure synth functions and get recorded, and these edit windows can be used to smooth out those parameter changes and more besides. Although audio-MIDI sequencing had existed for years with tape, given the computing power involved for audio, the marriage of MIDI with desktop digital recording, was not an overnight transformation with both sitting side-by-side on a music application. To get close to that dream of seamless working with audio and MIDI, dedicated hard disk recorders did the heavy lifting. Instead of MIDI Clock, MIDI Timecode (MTC) was used for sync. 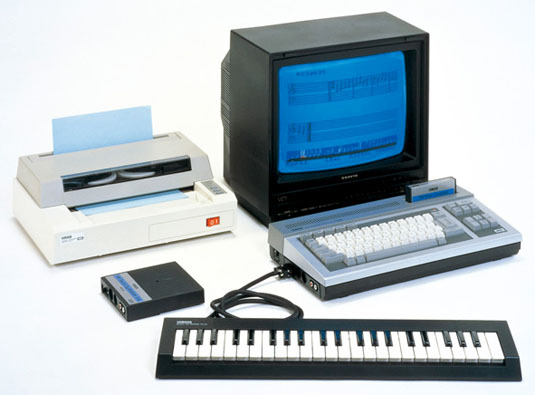 Furthermore, MIDI Machine Control (MMC) issued the transport commands – the computer could control the recorder. 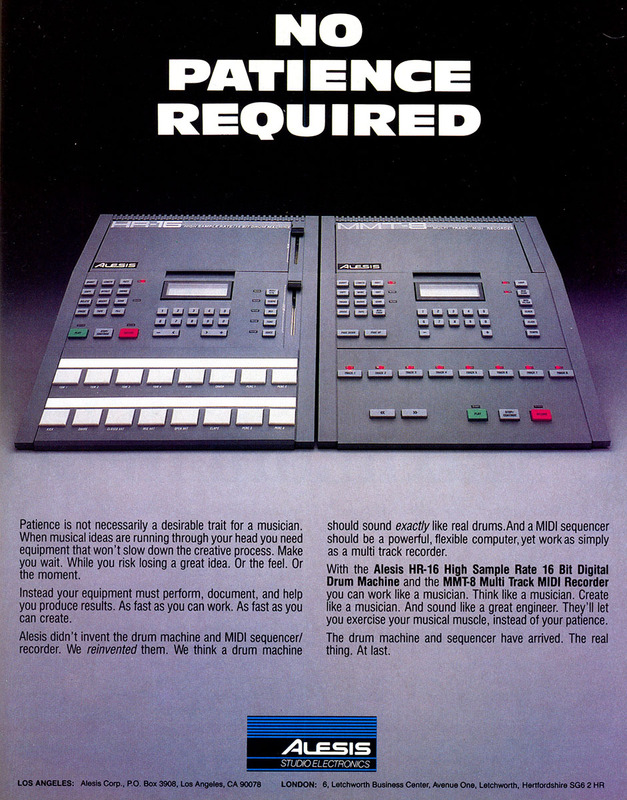 The software sequencer and hardware digital audio recorder worked in tandem and back then, getting it to work for the first time – instantly locating and engaging tracks for record too – was as much fun as you could have with your clothes on. ** Or staffs, if you like. The five horizontal lines and four spaces, which, depending on where and how the notes are written, denote different pitches/various percussion instruments. While there were several code options for synchronisation such as FSK*** or Smart FSK, the use of SMPTE/EBU (Society of Motion Picture and Television Engineers/European Broadcasting Union) timecode was the flavour professionals preferred. Initially used in video for edit decision lists, there were various frame rates available, but in Europe we’d opt for 25fps and the timecode would be recorded on tape at this rate before any sequencer synchronisation could begin. In the early days, the code would be read by the SMPTE/MIDI synchroniser to generate MIDI clock. You’d need to set up a cue point for this to start and also incorporate a pre-roll of a few bars on the sequencer so it had time to chase the code. As MIDI Clock was being generated, you also had to enter in the song tempo and time signature. The synchroniser would then output that MIDI clock information and, as it was reading a proper timecode from tape (not just DIN Sync pulses), it could work out where it was in the song after rewind or fast forward, and output the correct Song Position Pointer to the sequencer. It worked, but there was room for improvement. One of the problems of synchronising this way was that any tempo or time signature variations in a song had to be entered in manually as cue points within the synchroniser. The early models – I cut my teeth on a Bokse SM-9 – typically had unfriendly front panels with tiny displays and you’d have to work through these stages in 1/4 note steps. It was also good practice to note the cue point, timecode rate and the tempo on the track sheet, and if this was lost it could cause a few headaches. I’d also write down the type of synchroniser used as there could be minute timing deviations between models. With MIDI timecode, when working with tape, you still needed a SMPTE/MIDI synchroniser to read the recorded SMPTE timecode as before. Older MIDI clock sync boxes would have to be replaced, with Real Time Logic’s Event synchroniser becoming an early favourite for MTC in the UK. After MIDI clock, I thought it was amazing. Now, instead of MIDI clock being generated by the SMPTE/MIDI box, it was MIDI timecode instead. These quarter frame MIDI messages would convey the tape timecode position to the sequencer, and you’d see it on the software as hours, minutes, seconds and frames. You’d still have to be mindful of the frame rate, but now you could set your own cue points from within the sequencer which would be saved with the song. And the biggest plus of all was that the song tempo and time signature information didn’t need to be entered into the synchroniser any more, the sequencer just ran itself, governed by MIDI timecode. There was one consideration though, as MTC was a stream of MIDI System messages containing critical timing data, most would dedicate a MIDI port to it to avoid any bottlenecks with other MIDI data. In scenarios without tape machines, using MTC over a MIDI cable would enable supported gear to sync up and if used with MMC the transport controls could work together too. *** Frequency-shift keying. The Smart FSK version could output Song Position Pointers, so the tape didn't need to be started from the beginning to sync. As those desktop recording systems emerged, using MMC and MTC provided a neat way of copying files between a computer and hardware recorder. This could be very useful as the latter became more portable, with products like the Roland VS-880 and Fostex FD-8 enabling the ferrying of recordings from live sessions or for use as backing tracks. Talking about the ferrying of audio, the Sample Dump Standard was devised so MIDI could do this too. As samplers of the day all had their proprietary disk formats, getting your sample library into rival systems was either a matter of "start again" or "play the sample for the other sampler to record". Samples have loop points too, which are critical in recreating a convincing sound, so either way, that work also needs to be redone. 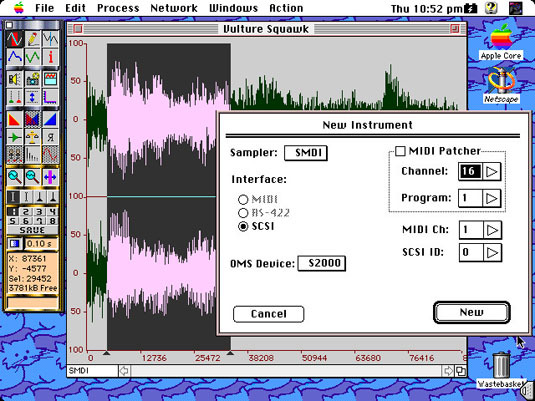 Using MIDI to convey sample audio data including loop points was the idea behind SDS: sampler shall speak unto sampler. It worked, but slowly as 31.25kbd was OK for transferring shortlived drum samples, but sampler memories were getting bigger, enabling longer recording times with higher sampling rates and resolutions. Getting lengthy samples delivered via MIDI was time-consuming, especially as stereo files needed left and right to be sent separately. Oh, and while I remember, the really cool thing the X-Alyzer did, that I mentioned at the beginning, was to create samples from Yamaha FM synth sounds from within the librarian/editor. These could then be sent over SDS to a variety of samplers, all very cleanly. 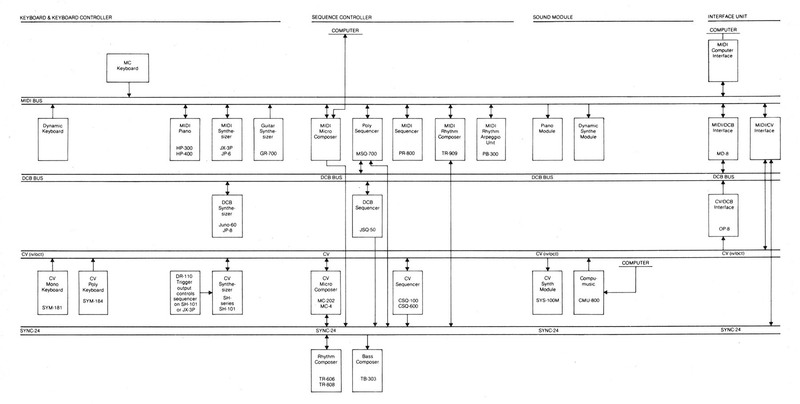 One other interesting point is the SDS spec was updated back in 1998 to be "capable of handling sample object sizes up to 32GB" [PDF here]. If that really translates into shifting a file that size over a 31.25kbd connection, it will take nearly three months to finish the job. 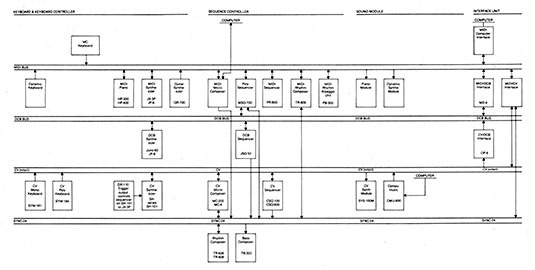 A Peavey Electronics Corporation initiative to develop the SCSI Musical Data Interchange (SMDI) addressed the slowness of SDS for a time, but as SCSI disappeared from computers, so did SMDI. This wasn’t too much of a headache for musicians though. By then, hardware sampler sales were on the decline and if you'd used SMDI already, then you'd be able to acquire your sampled sounds and save them on the computer and repurpose them. Also, the software samplers that appeared were able to read sample library CD-ROMs. Over the years there have been various attempts to modernise MIDI, but it has an "Ain’t broke, don’t fix it" resilience which owes a huge amount to the fact that nobody owns it, so it’s everywhere. Proprietary offerings such as Yamaha’s FireWire-based mLAN delivered bi-directional audio and MIDI down a single cable. But if you’re not going to share your toys for free, then, in the music world at least, it seems your chances of success by going it alone are much like the solo efforts of a Spice Girl: it might attract attention, but not for long. The MMA details various MIDI interfacing options, and even put together a spec for FireWire connectivity [PDF here], which, unlike USB, is not host-dependent, and devices can be daisychained together, a feature of mLAN exploited to its full advantage [setup PDF here]. Conventional networking also has its place with the Internet Engineering Task Force (IETF) delivering its own initiative for MIDI over Ethernet/Internet using RTP. Apple uses RTP too, enabling Macs to hook up over Ethernet like MIDI instruments. Hence, additional Macs can be used to host virtual instruments and ease the CPU burden on the main machine. Even iOS devices can be utilised this way. 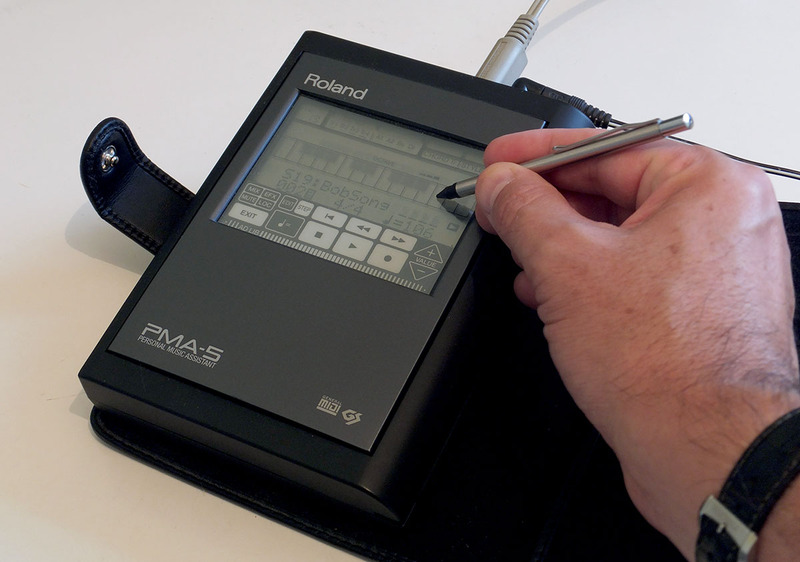 RTP and a range of other standards that implement MIDI are highlighted by the MMA here. There’s quite a mix including MIDI Visual Control (pioneered by Roland for video use), Virtual Reality Modelling, control of digital loudspeakers and mobile phone enhancements too, such as Scalable Polyphony. The latter was important for early smartphones as it enabled playback of the same tune on between five and 24 voices depending on the capabilities of the handset. One of the first non-musical applications was back in 1991 with MIDI Show Control enabling lighting to be controlled using MIDI messages. While many of these applications are adaptations or additions, significant changes to the original spec haven’t materialised. The production of electronic instruments was quite a niche activity when MIDI first appeared, which is how the specification devised between a handful of manufacturers could be finalised so quickly and yet still endures. Today, with so many manufacturers to consider, the task of modernising MIDI moves at a glacial pace. Looking ahead, it seems musicians will certainly have plenty to make a song and dance about. OSC is an alternative or an option, as integrates with MIDI too. As MIDI is everywhere on electronic instruments and can exist as a protocol in virtual environments too, MIDI communication looks likely to remain supported alongside whatever else is developed in the future. Indeed, while looking at MIDI's history, I've written about its functions in the past tense, yet these old devices and applications are still capable of performing as described today, to hook up with the latest MIDI gear on the market. A case in point is that, old ads aside, a lot of the gear photos and screen grabs featured in these two articles were from equipment set up a few days ago. If you want to go further back in time, products such as Expert Sleeper's Silent Way and MOTU's Volta provide the means to integrate CV and gate analogue gear from pre-MIDI days into the latest music production environment. Regarding MIDI's past, present and future, its co-founder Dave Smith talked to The Register recently on this topic and this interview will be published soon.